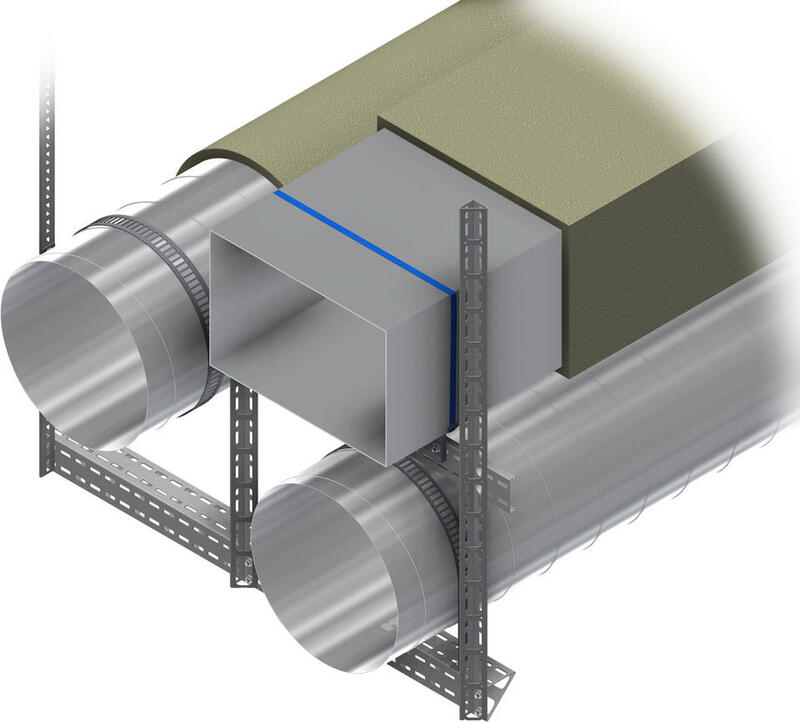 Our HVAC designs are directly compatible to our Mekano® system and offer solutions to a variety of ducting. Complete HVAC clamp range including solutions for both insulated and uninsulated ducting of both circular and rectangular types. The clamps are designed to minimise the fitting space required. They fit directly to our Mekano® system profiles and are therefore both simple and quick to fit and adjust. The clamps are supplied flat to save space during transport and ease storage on site. The clamp is easily formed around the ducting. 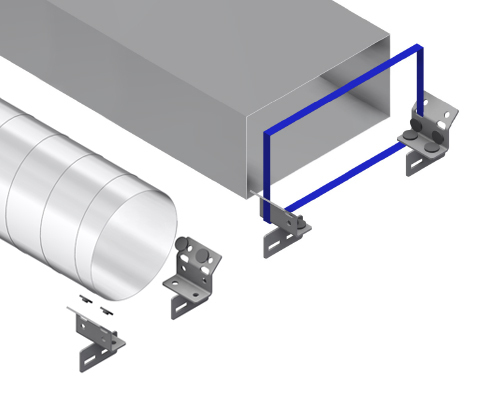 The support brackets can be used for both insulated and non insulated ducting, circular or rectangular and are suitable for use with levasint coated cable ties. Use for example 19 mm ties, type Band-it AE-416/AE-436 and lock AE 456. The duct can be insulated from the support bracket by applying insulation pads or tape on the contact areas. 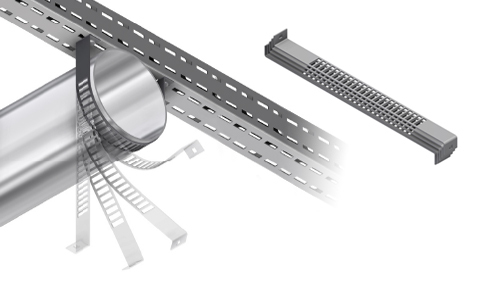 The brackets fit all Mekano® support channels including Mekano® 100-1.